I suppose that, by definition, almost everywhere in the Mediterranean is the real "home" of the Mediterranean Diet, that is, a diet rich in vegetables, fruit, pasta, bread and olive oil and not a lot of meat, eggs and dairy products. It was popularized in the book “Eat Well and Stay Well: The Mediterranean Way”, by Ancel Keys and his wife, Margaret, published in 1975. I think it used to be thought of as the diet of all those poor peasants in the Med who didn't have enough money to buy processed food, hamburgers and lots of junk food. That's why they emigrated: Give us your tired, your poor, your huddled masses, yearning to get heart disease! In any event, there was a good article on the website of National Public Radio on July 14, 2011. It was called "Mediterraneans Abandon Their Famous Diet" and was written by Jeremy Cherfas. 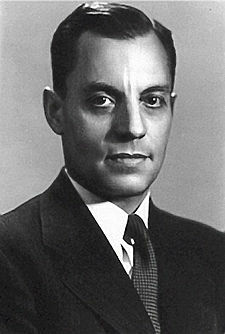 He remarks that the Med diet was first studied and popularized on the basis of studies done here in Pioppi (south of Naples) by American scientist Ancel Keys (1904-2004). Importantly, says the article, this healthy diet is now being ignored in Pioppi and pretty much the rest of Italy. Obesity rates are soaring in the nation, and life-expectancy has started to decline; for the first time ever, Italian children can expect to live shorter lives than their parents. The article pretty much confirmed what I have observed since the time I first taught in a Neapolitan Middle School 30 years ago. Then, there were a few chubby kids, sure—but obesity was unusual. That was before the days of the internet, video-games, etc. Kids did then what they have always done. They "went out and played" and at least in this part of Italy they did not gorge on fast-food and sugar. Life-styles among the young, however, have changed dramatically over the last few years. There are more sedentary children and their diet is getting worse and worse. An eleven-year-old kid in my building almost has to be rolled down the sidewalk to get to the school bus (to go four blocks—too far to walk, says Mommy). Ancel Benjamin Keys was born in Colorado Springs and died in Minneapolis, Minnesota. He studied at the U. of California and gave himself a truly eclectic education: political science, economics, oceanography, zoology, biology and physiology. He joined the University of Minnesota in 1936 and four years later founded its Laboratory of Physiological Hygiene. Keys was the cover story in Time Magazine on Jan 13, 1961. His lifelong interest was in dietary science and he is best remembered as the inventor of K-rations (K for Keys, by the way), those balanced meals for combat soldiers in World War II and for popularizing the Mediterranean diet. 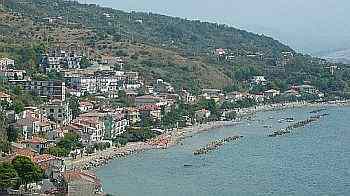 Keys chose to live in Pioppi in the lovely Cilento area of Italy, a coastal town just south of the Gulf of Salerno to carry out studies on human nutrition and share the typical Cilento lifestyle. (Maybe it worked; Keys lived to the age of 101.) His association with Pioppi goes back to the 1960s when he was one of the hosts of a cardiology congress held in the town. Now, in honor of Keys, Pioppi is the home of the Mediterranean Diet Association and holds regular congresses in the Villa Vinciprova, a site that also houses the Museum of the Living Sea, a remarkable hands-on display of sea life. ...practices, representations, expressions, knowledge and know-how that communities recognize as part of their cultural heritage. Passed down from generation to generation, it is constantly recreated by communities in response to their environment, their interaction with nature and their history, providing them with a sense of identity and continuity. 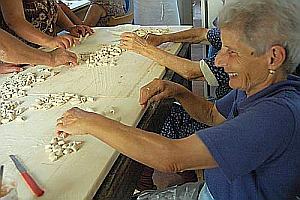 Such things include dance, music and theatrical traditions, traditional handicraft and so forth. So far Italy has five items on the list: the Sardinian pastoral songs known as Canto a tenore; Sicilian puppet theater; traditional violin craftsmanship in Cremona; the Mediterranean diet (a heritage shared with Spain, Greece and Morocco) and most recently, the Gigli (spire floats) of Nola. In Campania there is indeed a place where the Mediterranean diet has been studied quite thoroughly (see item above). I don't know why that surprised me; maybe it's because I've noticed an increase in the number of fast-food places. Yet, who knows...that, too, may be Mediterranean!